Alexis is clean, minimalist, simple and mobile friendly one page Bootstrap portfolio template. It’s lightweight and loads like lightning blot. Alexis is crafted with unmatched possibilities to fit with portfolio site for business firm, freelancers, artists, designers, photographers, creative professionals, and anyone looking for showcasing his high quality work. Alexis Bootstrap portfolio template is an excellent creation, can impress visitors in their first visit. Its interface is fabulous and polished, packed with sequential features which give answer each subconscious questions of potential customers and boost conversion exponentially. CSS3 animation is a unique tool to provide users a delightful web experience ever. It makes web contents interactive attention grabbing. To engage users precisely, Alexis bootstrap single page template comes saturated the joyful interaction that everyone loves. Alexis, the best HTML5 Bootstrap template for portfolio website is optimized for maximum conversion and sales. As the self-explanatory pricing comparison is the is key funnel of business strategy, the responsive bootstrap template offers best pricing comparison to boost your business success. Alexis one page bootstrap template is best for those who are looking for such a website theme optimized for high UX and usability. It’s assembled with bootstrap sticky navbar. It’s fixed with the website header and let visitors visit to the their desired section quickly. Alexis free one-page bootstrap template offers cutting-edge portfolio showcase coupled with subtle hover animation effect allows you share your professional work creatively. The unique part of this portfolio gallery is — it opens a dedicated section for details project view. People behind a website is as essential as the company itself. It adds an entity of reliance and credibility. To make your site trustworthy, we include an excellent team showcase in this simple bootstrap HTML5 template so that you do a bit more. Testimonials are one of the essential ingredients which unlock higher sales . So, Alexis business portfolio template bottles fantastic testimonial slider to demonstrate your company’s proven track record of meeting client expectation. It adds customer personal details to make it more realistic. Alexis company portfolio template gives access over nice and striking service showcase which provides users precise details of your sellable expertise and capacity. If your current website can’t make the cut extensively, the conversion generating bootstrap theme is the go to tool for you. Alexis is technically resourceful, tech-savvy, content packed, SEO friendly bootstrap HTML5 portfolio theme. It’s equipped with cutting-edge technologies that allow webmasters having any level of technical knowledge to build professional looking websites in no time. It’s crafted with tight support of mobile screens and modern browsers. TemplateOcean is the forerunner of latest technologies. Alexis is going to pop out to be first Bootstrap website theme in our directory. It means with this theme, you can use improved grid system “rems”, opt-in flex box grid, and more. Typography is the sole of web communication and breathes life in the virtual world. So, we have assembled Alexis with refined and research typography which assists you to stick around visitors attention through your persuading contents and other supporting materials. Implementing or writing PHP codes for contact form is the challenging part for many of frontend developers. To simplify your site building process, the developer of this one page portfolio theme has shipped working PHP contact form additionally. The codebase is flexible and easy to understand which let you add your personalized changes and customize until your client requirements meet precisely. In addition. It’s easy to use anyone have knowledge of basic HTML & CSS, you turn into swiss army knife for their client project. Alexis is responsive HTML5 CSS3 website template is bundled modern technologies and endlessly optimized to make it lightweight. Consequently, it gains the capability to quickly appear from large screen to mobile devices. Say Goodbye to bounce rate and search engine penalty. The codebase of Alexis is robust and praiseworthy, comes with responsive and mobile device optimized architecture. It means visitors from Desktop, iPhone, iPad, Tablet, Notebook and from large screen to small screen devices get same and unified viewing experience ever. The goal of the maximum website owner to handsome amount of organic traffic. 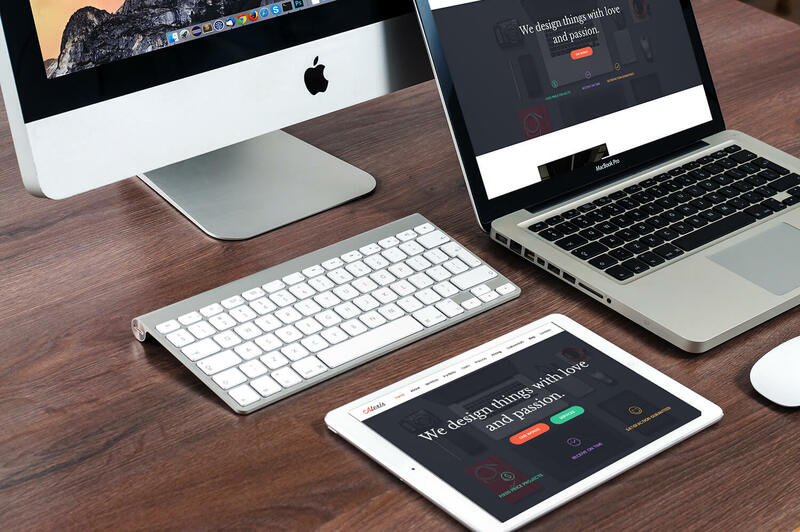 If you’re among of them, Alexis bootstrap portfolio website template is for you. It’s programmed for better search engine visibility to rank your website higher. As we prioritized to pack top-notch features so that you can do more, simultaneously we box detailed documentation. It guides to add high customization and port for customized or popular CMS like WordPress, Joomla, Drupal without any hassle. The motto of Alexis HTML5 Bootstrap portfolio template is to create a platform to showcase client convincing work. Besides providing niche oriented salient features, it has 500+ Icons, MailChimp subscribe form, call to action, video embed, project details, contact form and more. Providing support for each major browser is elusive for developer even having years of experience. But when you have this single page bootstrap portfolio theme in the collection, it automatically consolidates with IE9, IE10, IE11, Edge, Chrome, Firefox, Opera, Safari and more.